Private T. E. Shaw until he was transferred to the RAF in August 1925. It was during this time that he first rented the modest brick cottage, Clouds Hill, which he later purchased, and where he entertained many friends. In 1935, having served twelve years in the ranks, he left the RAF and returned to live at Clouds Hill. On May 13, while returning on his motorcycle from the Post Office at Bovington Camp, he suffered severe head injuries in a road accident. He was taken to the camp’s medical centre where he lingered in a coma without regaining consciousness. 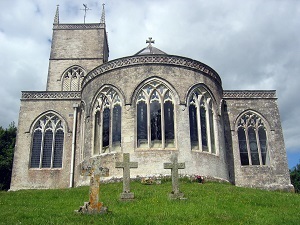 He died on May 19 and is buried in the parish churchyard at Moreton. In 1938, his younger brother A. W. Lawrence presented Clouds Hill to the National Trust. This small building remains much as Lawrence left it, and perhaps more than any other place with a Lawrence connection, it so evokes the memory of the man. Clouds Hill is open to visitors from March to November. 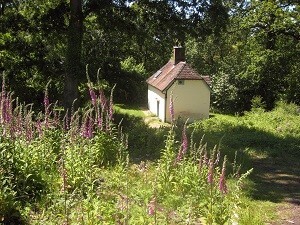 See the National Trust website for opening times. Bovington Camp provides training for the Royal Armoured Corps and other units, and is much changed from when Lawrence served in the Tank Corps. The Tank Museum is interesting to visit, though it should be noted that its exhibit concerning Lawrence’s time in the Tank Corps has been removed from display, to give room for exhibits commemorating the centenary of the Great War. 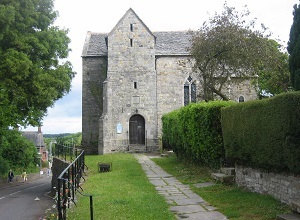 A good introduction to the area is the Lawrence of Arabia Trail, a 6 ¾ mile signposted walk starting from the Tank Museum and taking in Clouds Hill and the village of Moreton, where Lawrence’s funeral was held and he is buried. 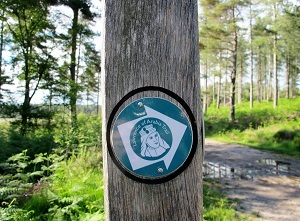 A pdf leaflet describing the walk can be downloaded (right). 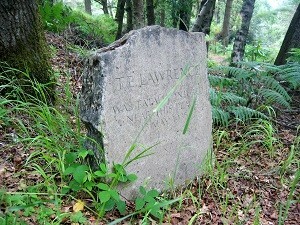 The site of Lawrence’s fatal accident is marked by a stone erected by the T. E. Lawrence Society. The site can be reached by heading north along a narrow footpath from the small car park situated 400 yards to the south of Clouds Hill on the road to Bovington. 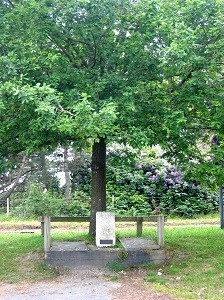 In the car park is another memorial to Lawrence placed there in 1983 by Tom Beaumont who served with Lawrence in the Arab Campaign. The road no longer follows exactly the same route as it did in 1935. It has been realigned since the accident and is wider, with the dips levelled out. attended by Winston Churchill, other eminent friends, and friends from his Service days. 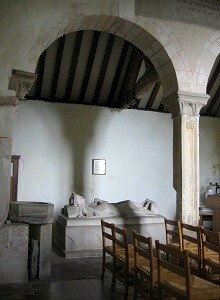 engraved by Laurence Whistler, giving a unique atmosphere and a worthy addition to your visit to Moreton. 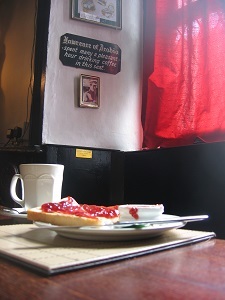 The nearby Moreton Tea Rooms contain a room of Lawrence images, while the bier which carried his coffin is currently serving duty as a cake stand! Arabia spent many a pleasant hour drinking coffee’. 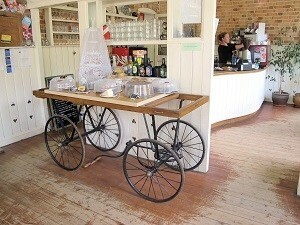 Wareham Town Museum in East Street contains a small Lawrence display. 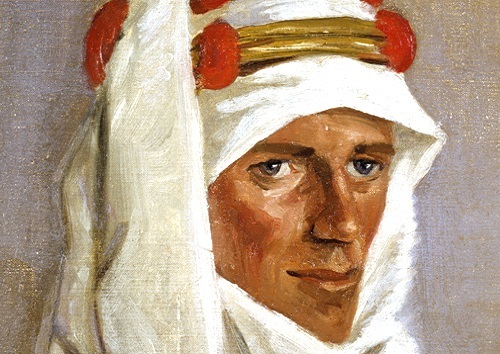 In Wareham Library at the bottom of South Street you will find the T. E. Lawrence Society’s library. This is open to all, though it is necessary to make an appointment (Tel: 01929 556146). 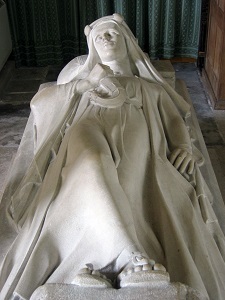 effigy of Lawrence by his friend Eric Kennington. The church is normally locked but the key can be obtained from A. F. Joy, the nearby gents’ outfitters in North Street. During his times in Dorset, Lawrence ranged far and wide on his Brough Superior motorcycle. This was the Dorchester home of Thomas Hardy. 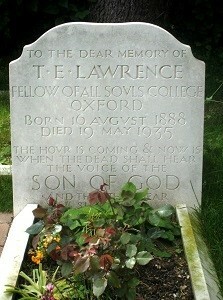 Lawrence became friends with Hardy and his wife Florence, and was a regular visitor when stationed at Bovington. 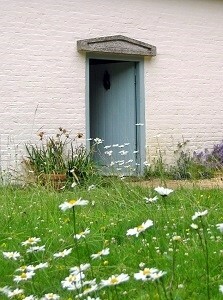 The house is owned by the National Trust and is open to visitors from March to November. 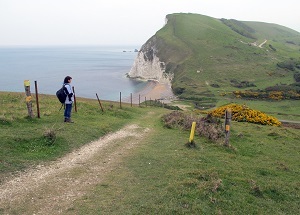 This is a small cove across the Lulworth Ranges from Bovington where Lawrence used to swim with friends in the Tank Corps. The cove is now fenced off due to the possibility of unexploded ordnance in the water. There is equally fine swimming at nearby Worbarrow Bay. Access to the area including the deserted village of Tyneham is possible only when the ranges are not in use by the military. A spectacular ruin largely wrecked by Cromwell in the Civil War, also now owned by the National Trust. A favourite place for Lawrence to visit and the scene of one of his many motorcycle crashes.